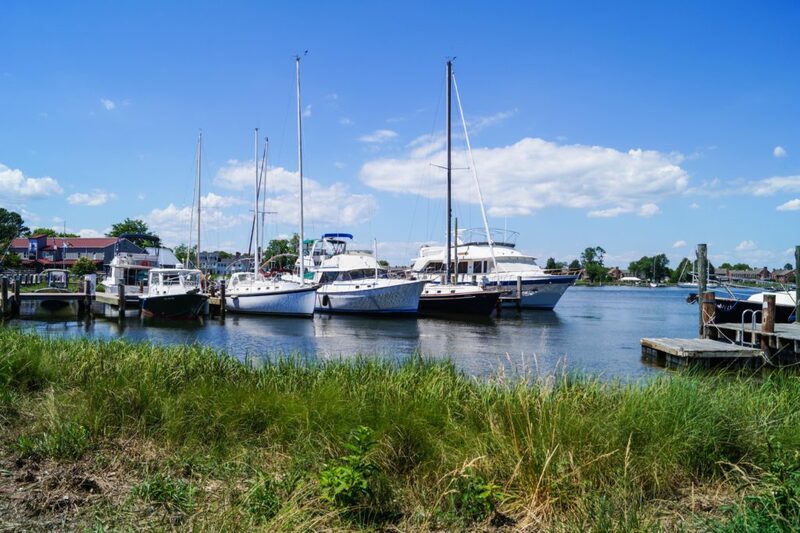 We recently took a trip through the Eastern Shore of Maryland and explored St. Michaels and Easton, then Ocean City, and back to Cambridge before heading home. Today, I am covering St. Michaels and the Phillips Wharf Environmental Center on Tilghman Island along with a recipe for Maryland Crab Dip. In case you missed it, here are my other posts from our trip: Easton, Cambridge, and the Hyatt Regency Chesapeake Bay. 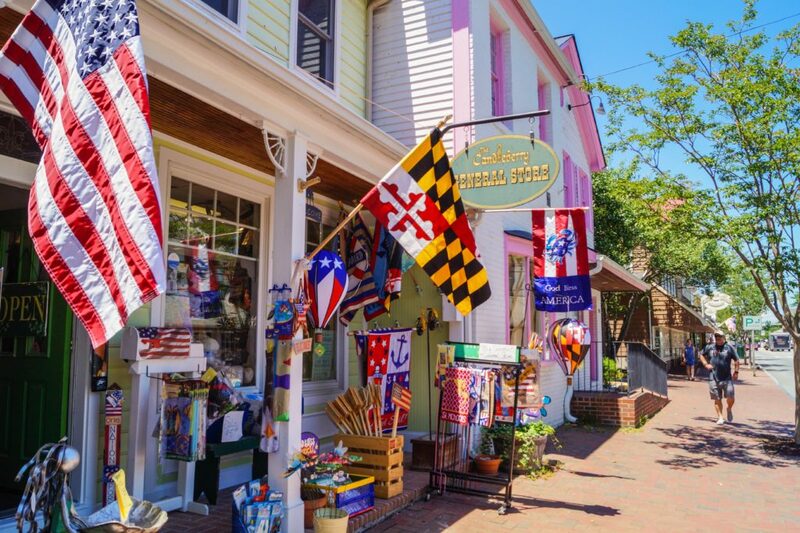 St. Michaels is a waterfront town located on the Miles River off of the Chesapeake Bay. It is 10 miles west of Easton (80 miles from Baltimore and Washington DC) in Maryland’s Eastern Shore and is known as “the town that fooled the British.” On August 10th, 1813, during the War of 1812, residents hung lanterns in the trees while dimming the lights in their homes, causing the British to overshoot their cannons and spare the town (minus one house) from damage. We visited on a Friday and it was nice and relaxing. 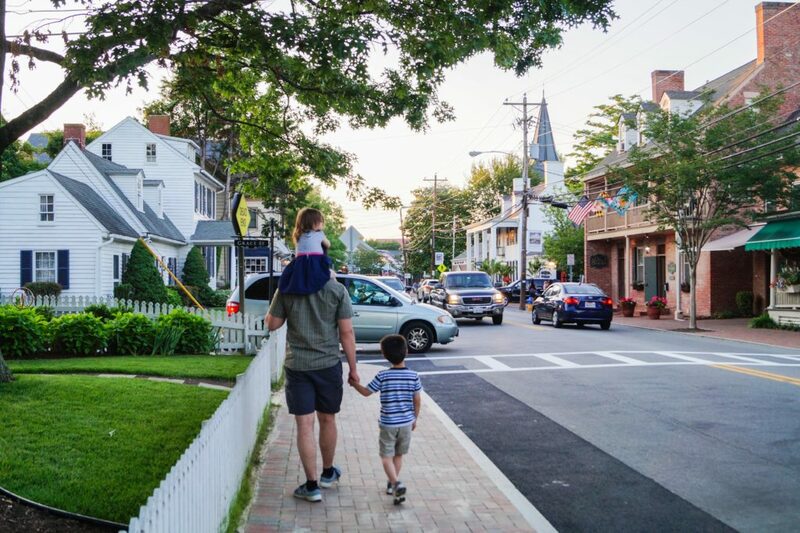 Weekends are often a different story, particularly during the summer, since St. Michaels is a popular location for weddings and the area can fill with people. We found parking in the lot behind The Candleberry Shoppe. As a note, this lot is unavailable on Saturdays for the farmers market (8:30-11:30 am). 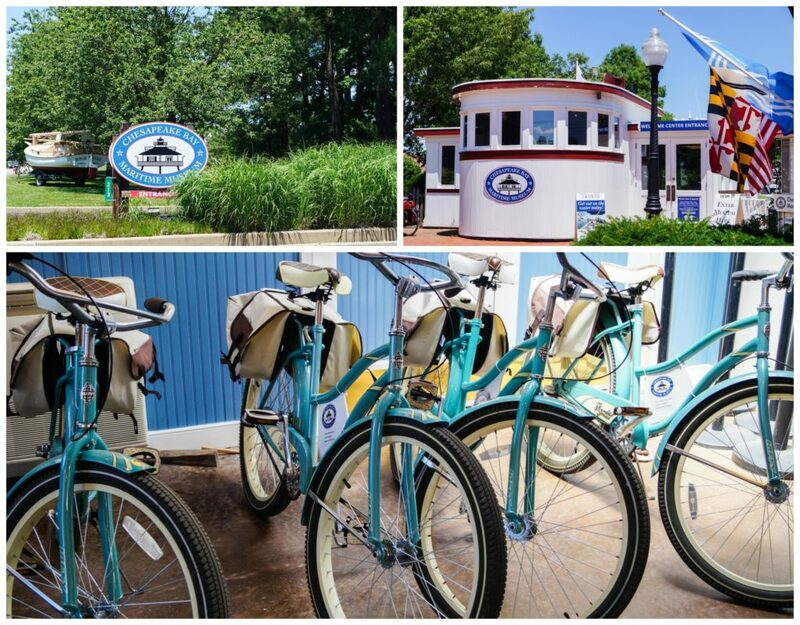 There are other parking areas off of Talbot Street, on Railroad Avenue, and around the Chesapeake Bay Maritime Museum. 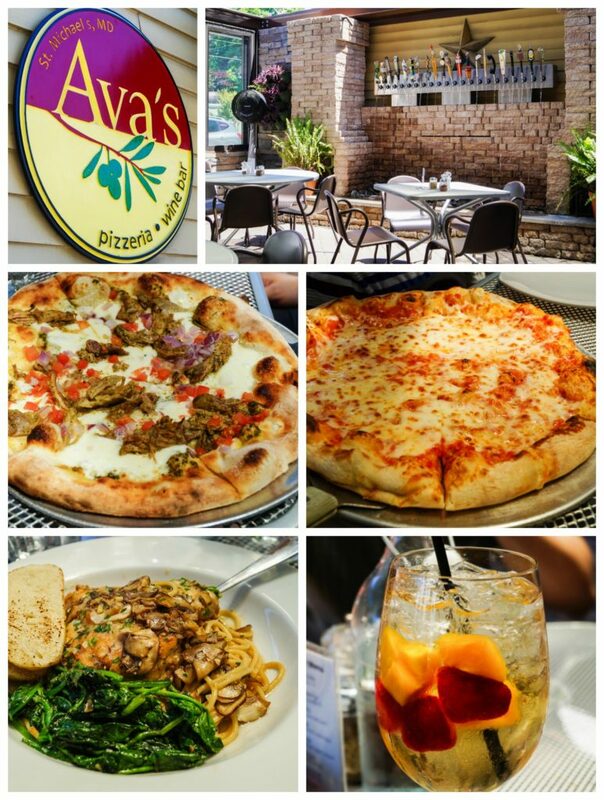 Our first stop was lunch at Ava’s Pizzeria & Wine Bar. I loved the patio seating in the back of the restaurant with the unique beer tap fountain. Chad got the special White Pizza with Spicy Pulled Pork, Tomato, and Red Onion while Evan and Claire split a Boardwalk Pizza (noted on the menu as great for kids- a blend of mozzarella and provolone, it was definitely a hit). I enjoyed a Sangria and Chicken Marsala. The Candleberry Shoppe is located on Talbot Street and features a variety of unique gifts and souvenirs. We especially loved the toy section towards the back. The owner was incredibly nice and took the time to show a number of toys to Evan and Claire. 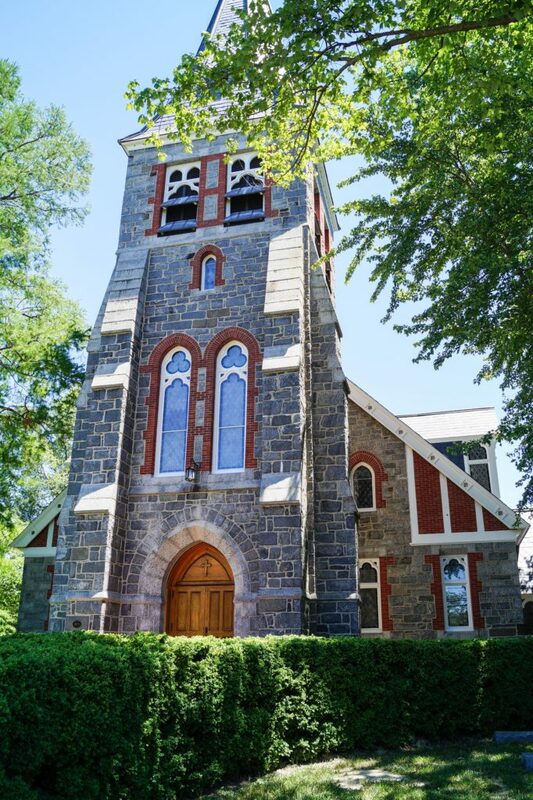 Across the street from The Candleberry Shoppe is Christ Church. The current building was constructed in 1878. While The Candleberry Shoppe was the favorite for the kids, I especially loved Simpatico. 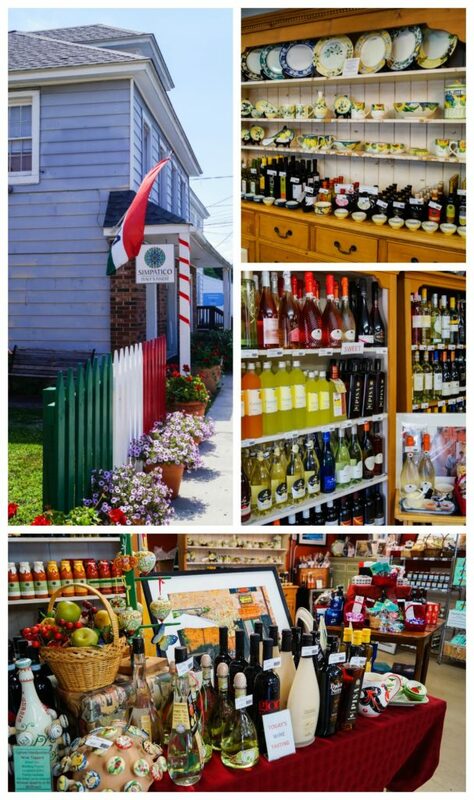 Simpatico is located on Railroad Avenue and features ceramics, foods, wines, liqueurs, and other items imported directly from Italy. They often have wine and liqueur tastings along with events throughout the year. I recently made Strawberry and White Chocolate Panna Cotta using a white chocolate liqueur from here. Near Simpatico on the corner of Railroad Avenue and Talbot Street is Flamingo Flats. 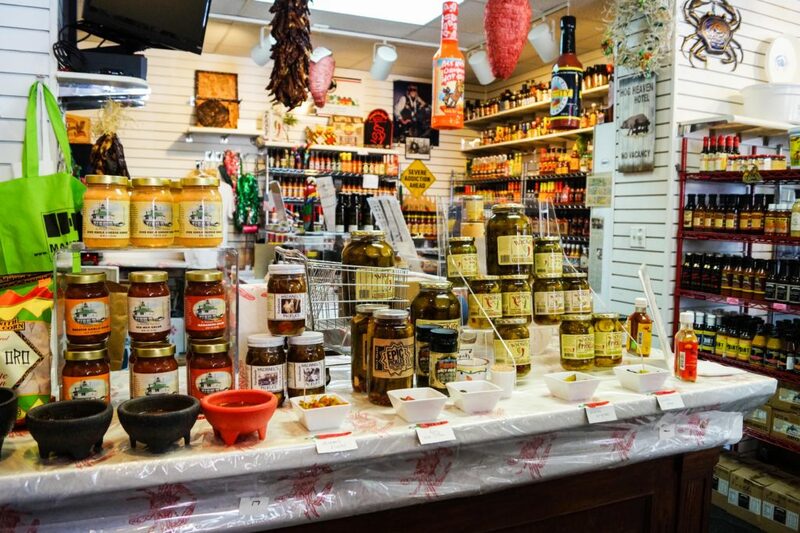 Here you will discover hot sauces, salsas, barbeque sauces and seasonings, souvenirs, cookbooks, and other unique finds. 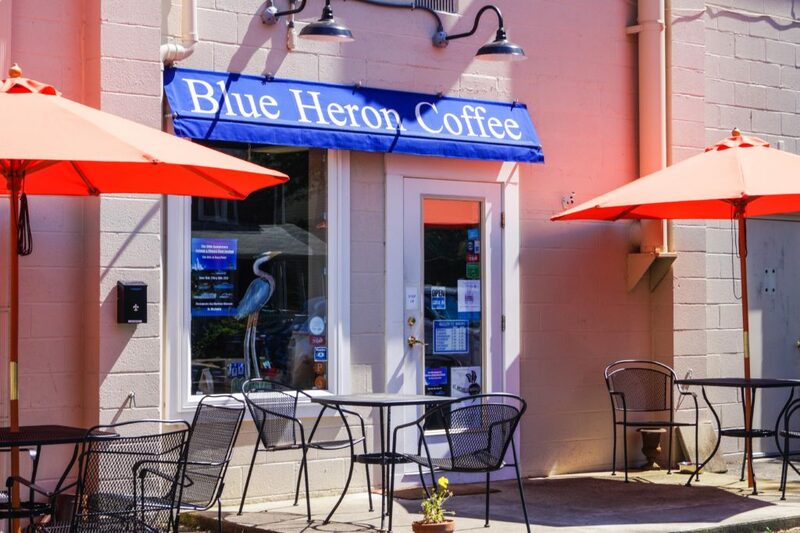 Chad’s favorite spot for coffee during our week in the Eastern Shore was Blue Heron Coffee. This is a specialty small batch roastery without frills. There are fifteen types of coffee in stock with four brewed each day (decaf, coffee of the week, at least one fair trade organic, and one other). They also have a few pastries and other items. 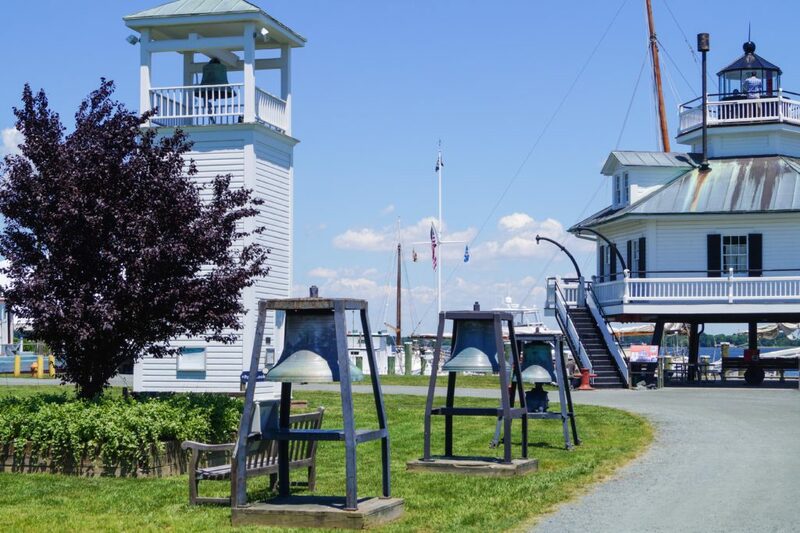 The Chesapeake Bay Maritime Museum was another highlight of our day. 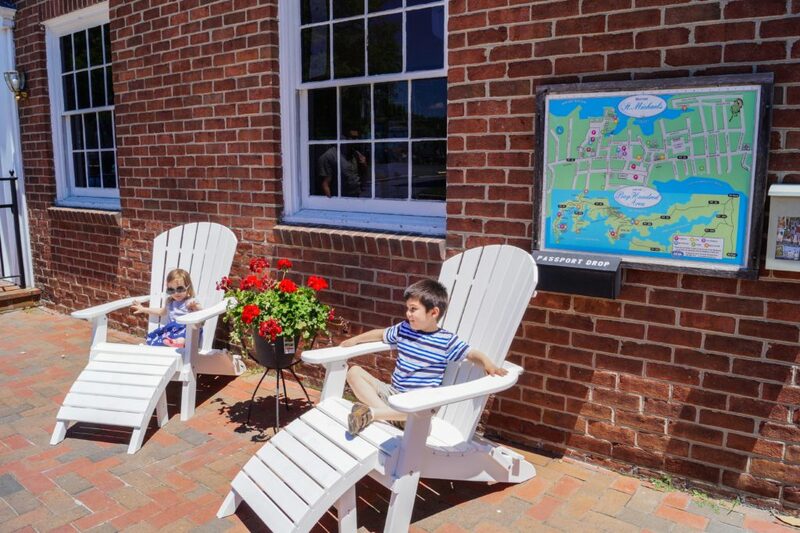 This museum is located in the northern part of town along the water at Navy Point and focuses on the history and preservation of the Chesapeake Bay. We spent about 2 hours here, but could easily have stayed longer. It was created in 1965 and has 35 buildings, 10 open to the public with exhibitions. 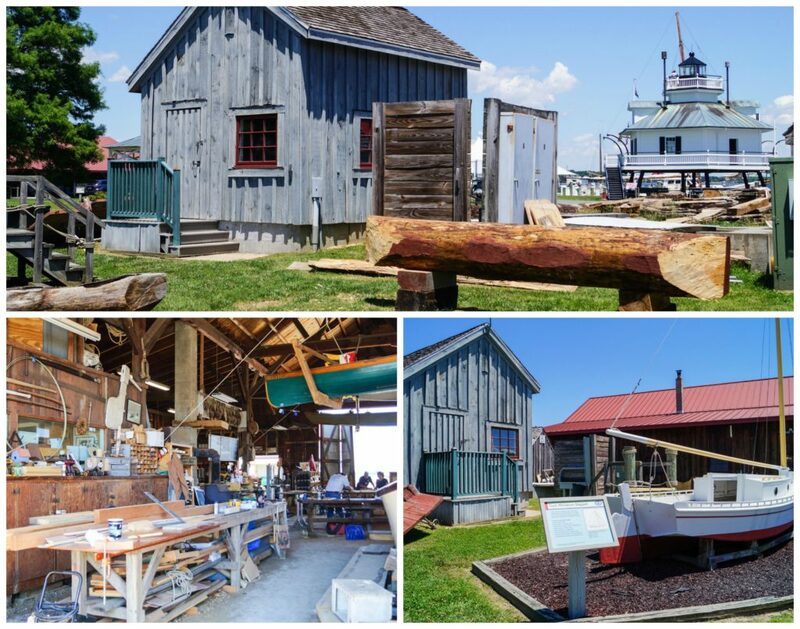 The museum is also home around 85 Chesapeake Bay watercraft (world’s largest collection). 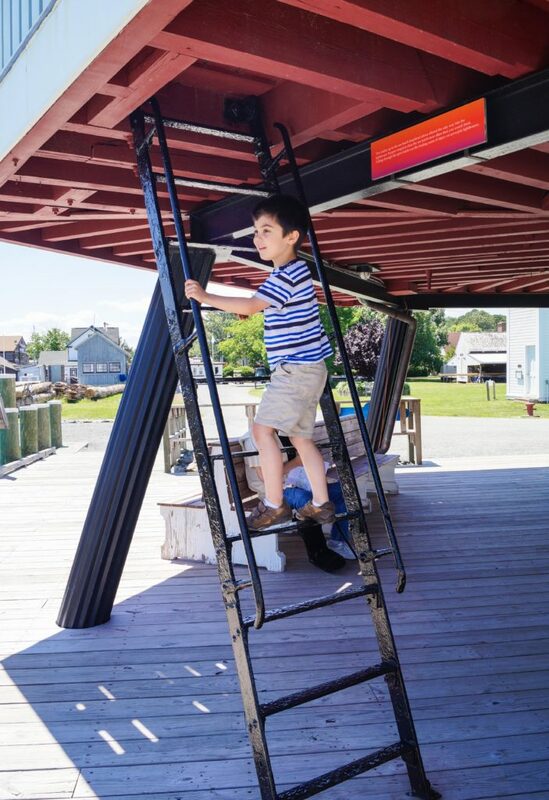 The working boatyard provides a closer look at the restoration and maintenance projects along with hands-on educational programs and other special events. 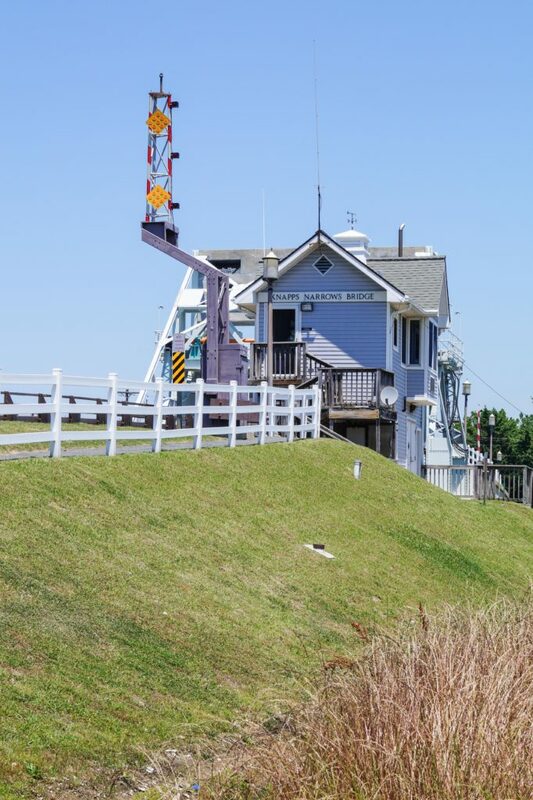 At the waterfront, you will find the Hooper Strait Lighthouse. This lighthouse was built in 1879 after the original was destroyed due to moving ice. The building was condemned and set to be demolished in 1965 before the museum took over and transferred it 60 miles north to the current location. Evan especially enjoyed exploring the exhibits inside the lighthouse and in a couple of nearby buildings, including At Play on the Bay. Many areas were interactive with restored boats that were open for a closer look, historical artifacts, photographs, and video. The museum is open daily (closed Thanksgiving, Christmas, New Year’s) 9-5 from May to October and 10-4 from November to April. Admission is currently $15 for adults and 12 for seniors, students, and retired military. Children (6-17) are $6 and members, active military, and children under 6 are free. From Memorial Day to Labor Day, the immediate family members of active duty military also receive free admission. Tickets are good for two days. Special events occur throughout the year. 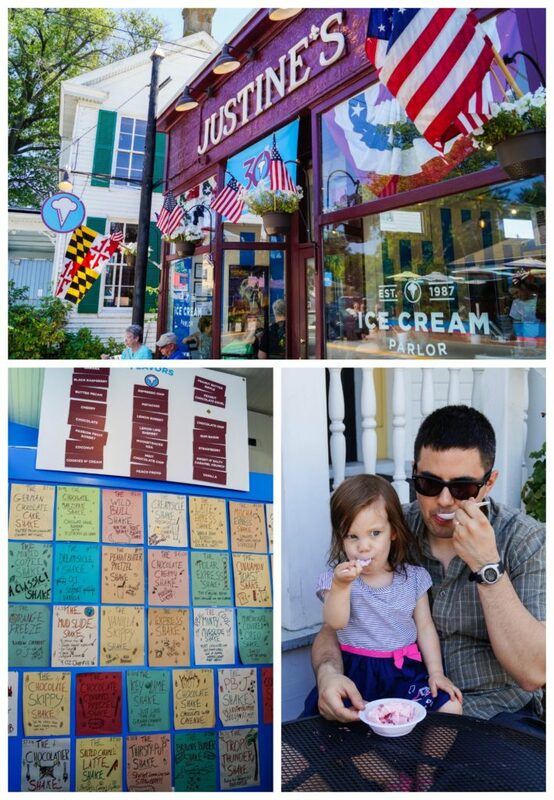 After exploring the Chesapeake Bay Maritime Museum, we stopped by Justine’s Ice Cream Parlor on the way back to the car. Along with scoops of different ice cream flavors, they also serve parlor fare such as ice cream floats and egg creams, sundaes, and milkshakes. We went to the hotel to check in and relax for a bit, (the Holiday Inn Express in Easton), but returned to St. Michaels that evening for dinner at Awful Arthur’s Seafood. Quite a few regional and seafood favorites can be found here. Evan and Claire both had mac and cheese (a popular option while traveling). 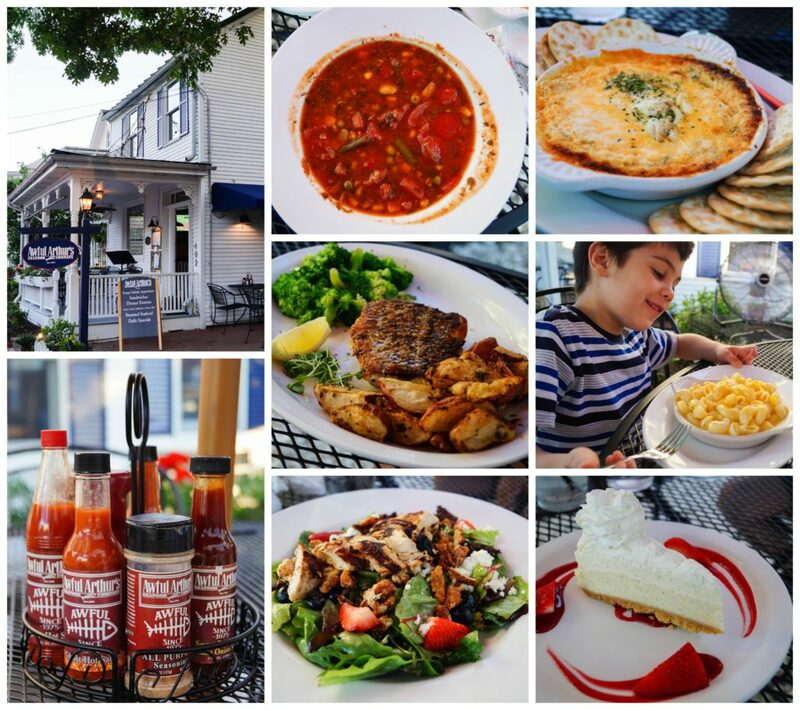 I tried the Maryland Crab Soup (blue crab, fresh vegetables, tomato broth, JO spice) and the seasonal berry salad with grilled chicken while Chad enjoyed the rockfish special with potatoes and broccoli. I also tried Maryland Crab Dip for the very first time. For dessert, we shared a vanilla bean cheesecake. 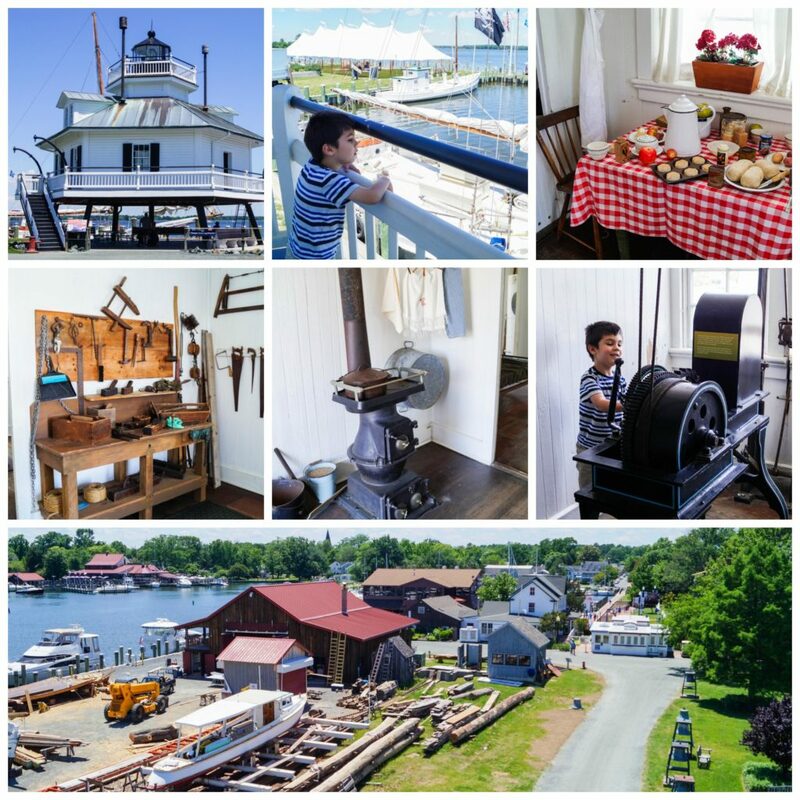 We stayed at a hotel in Easton, but St. Michaels is home to a few inns and bed & breakfasts including the Inn at Perry Cabin at the edge of town. The grounds are beautiful and a favorite for weddings (the site was also used to film the wedding reception for the movie, Wedding Crashers). After exploring Easton and St. Michaels, we took a bit of a detour to Tilghman Island before continuing on to Ocean City. Tilghman Island is about 14 miles west of St. Michaels. 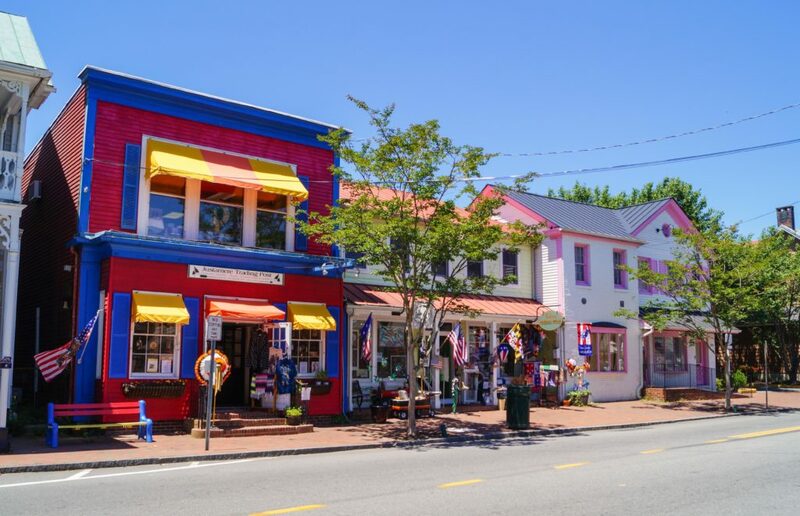 It is 3 miles long and is situated on the Chesapeake Bay and Choptank River. Just over the Knapps Narrows Bridge is the Phillips Wharf Environmental Center. This was such a fun stop with Evan and Claire. The center is open daily from 10-4 (no admission charge) with special events held throughout the year. The day before our visit was Oyster Planting Day. 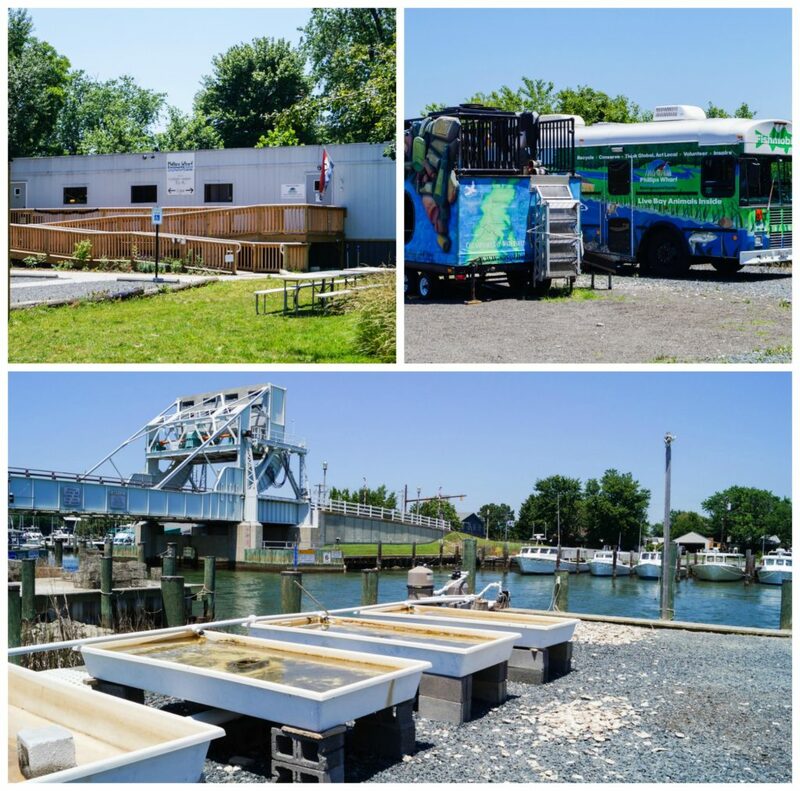 In coordination with the Tilghman Islanders Grow Oysters Project, they planted over 115,000 oysters at the Rabbit Point sanctuary site in an effort to repopulate the oysters in Chesapeake Bay. Evan and Claire were able to get up close and personal with some of the wildlife that can be found in the Chesapeake Bay. 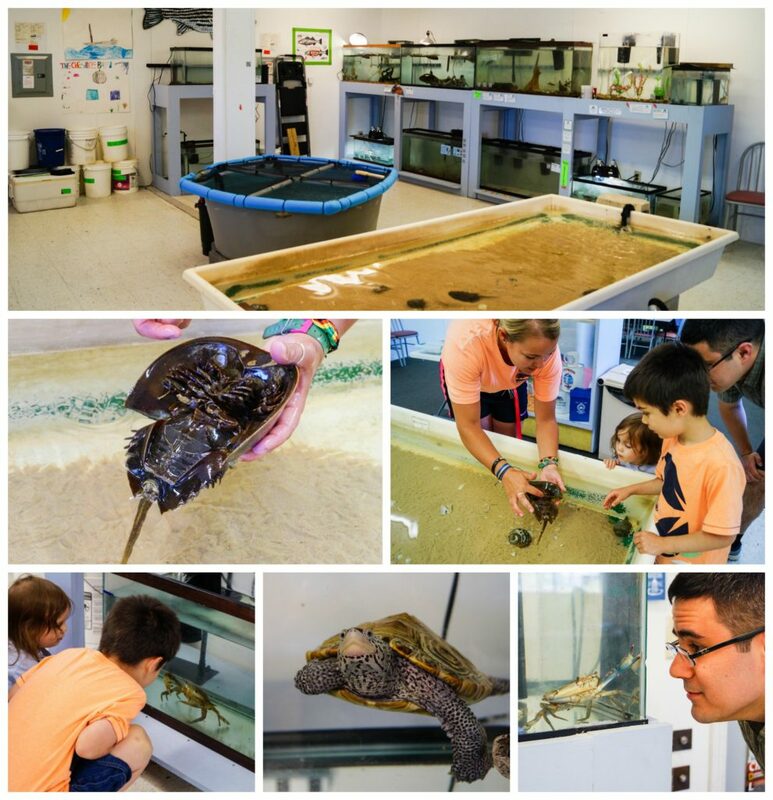 They learned about horseshoe crabs, blue crabs, turtles, local fish, and more. There are also coloring pages and other activities available. In addition to the classroom, the center also has the Fishmobile- a mobile aquarium that travels to schools, summer camps, festivals, birthday parties, and other events. 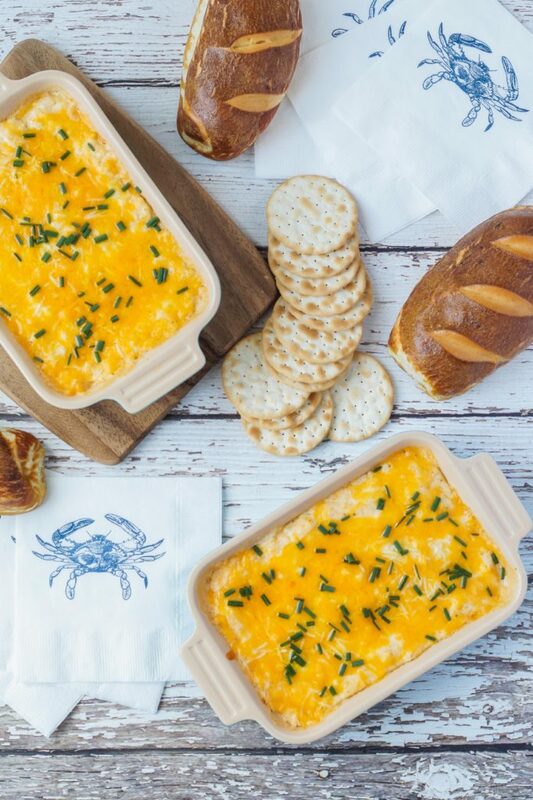 I first tried Maryland Crab Dip at Awful Arthur’s in St. Michaels and was immediately hooked. 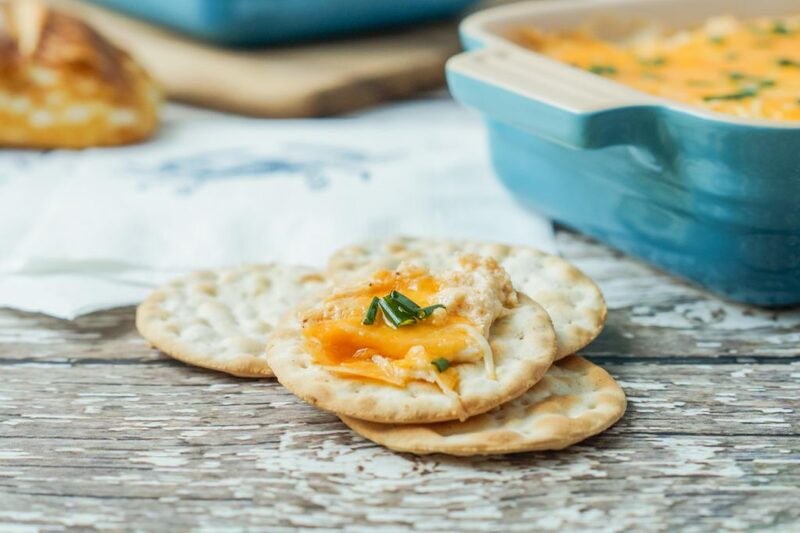 Lump crab meat is coated in a creamy combination of cheeses, sour cream, mayonnaise, spices, and seasonings before baking until bubbly. The dip is most often paired with water crackers. While in Ocean City, I tried it with pretzel bread and loved it even more. I picked up some pretzel bread at the Heidelberg Pastry Shoppe in Arlington, Virginia, but also have recipes to make your own or the smaller Swiss Silserli. Avoid substituting with lower fat dairy products- this can cause the dip to come out watery. Old Bay Seasoning is one of the notable spice blends used in this crap dip. It was created in 1939 by German immigrant, Gustav Brunn. The seasoning mix has become a staple in Maryland with uses ranging from steamed seafood and crab cakes to everything else like corn on the cob, fries, popcorn, steamed vegetables, burgers, and even cocktails. It can be found in the spice section of many grocery stores or you can make your own. In a large bowl, beat together the cream cheese, sour cream, and mayonnaise. Mix in 3/4 cup of the cheddar, 1/4 cup of the parmesan, chives, garlic, lemon juice, old bay, ground mustard, worcestershire sauce, salt, pepper, and paprika. Gently mix in the crab meat. Transfer to desired baking dish (about 1 quart). Top with remaining cheddar and parmesan cheese. Bake in preheated oven until golden and bubbly, 25-30 minutes. Remove from heat, top with additional chopped chives, and serve immediately with water crackers or pretzel bread. how FUN – now *I* want to take this trip! 🙂 and this dip… oh my, it sounds so tasty good! Looks like a great trip! I love finding great food when I travel, the dip looks wonderful and like a great way to remember Maryland! It looks like a beautiful place- so please the British were tricked back in 1813 and the town was spared. The dip sounds amazing. That pizza looks soooooo good! And crab dip? 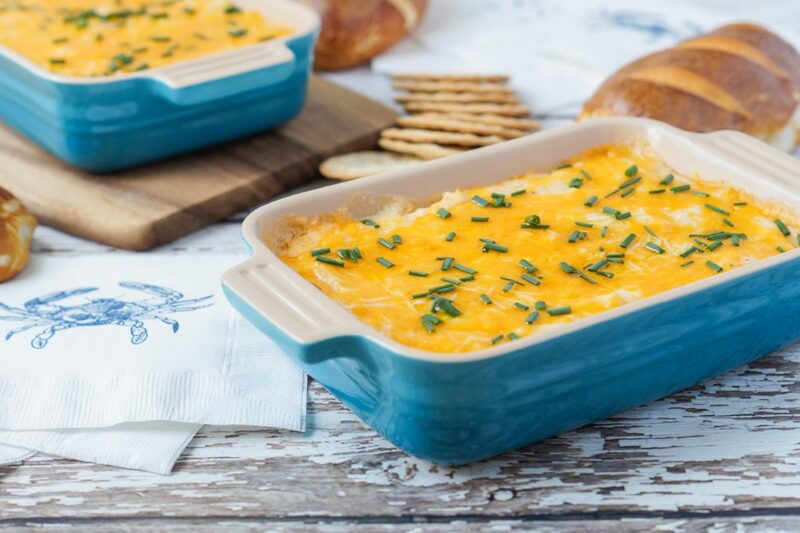 Hot crabby cheesy dip is amazing! This version looks so easy! What a lovely, quaint town! A fun day for the kids, too! I am loving the sound of this dip! I wish I lived near you because crab is terribly expensive here!